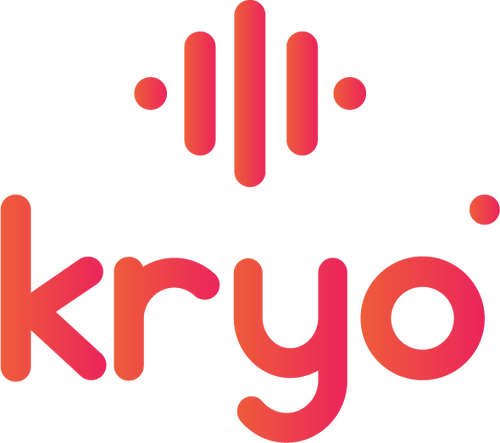 Kryo works with an app available for iOS & Android, every update will be able to get new functions and effects. Visit our effects library and discover the possibilities that Kryo offers to your board. Experiment with the sounds! 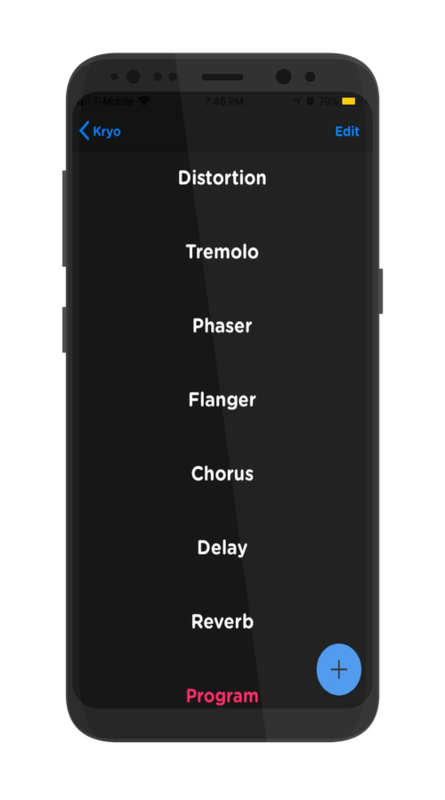 Kryo is compatible with guitar and Bass, check every effect to select your favorite for everyone. We accept suggestions to build the next effect, We make original own effects and also effects based on famous stompboxes. Share your preferences with your friends and join our community. Simple, compatible and wireless, the new kryo aura provides a Bluetooth connection to work with most of the iOS and Android devices. Make the connection through the app to set the effects that you want. Kryo aura include a delay and reverb effect to enhance your sound, those in adition to the Distorsion, Overdrive, Modulations, Dynamic, Acustic and more. All those effectes available in the same kryo stompbox. Like a virtual "Daisy Chain", kryo Aura provides an option to combine the effects that you want. You can choose the effects, select the order, parameters and program the combination to the stompbox. Explore new sounds and styles with the combination, imagination is the limit.